If you have suffered a fracture, you are probably wondering how quickly it will heal and if there is anything you can do to make it faster! Read on to learn more about bones and fracture healing. Each of our feet has 28 bones. When considering that the entire human body has 206, that’s about 25% in our feet alone! 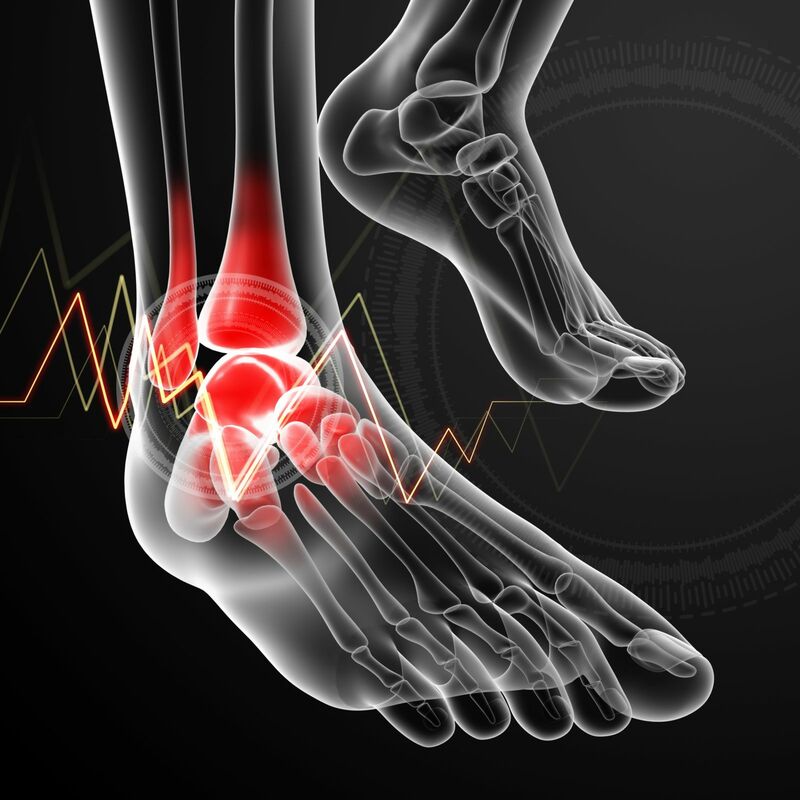 We use our feet every day, constantly pounding and adjusting to different terrain - it is not any wonder that fractures in the feet are very common. While some bones in the feet are seen to fracture more commonly than others, any of these bones can suffer injury. A fracture is defined as a crack or break of a bone. If you have ever seen a skeleton, bone may appear to be ‘dead’ and has a likeness to stone, but it is very much alive! The anatomy of bone is more complicated than most people think. Bone is comprised of blood vessels and is layered in a sense. The outer most layer to the bone is called the periosteum (sounds like “perry ost ee um”). This part of the bone is a thin fibrous membrane which contains blood vessels, nerves and lymphatic vessels to nourish the bone. It is therefore helpful in the healing process of bones. Tendons and ligaments attach to the periosteum of bones. The inner lining of bone is called endosteum, it is also a membrane structure. This part of the bone is in charge of growth, repair and remodeling. The hard, dense outer bone is called cortical or compact bone. Where a bone contacts another bone there is articular cartilage. This cartilage allows a smooth surface to provide motion between the bones. Simply stated, the areas in the body where one bone contacts another is called a joint. Some joints have more motion than others. When a fracture of bone extends into the articular surface, these fractures are likely to cause arthritis after the fracture has healed. This is why some patients will come into our office for pain in a joint and may relate that they fractured the foot near this area many years ago. Speaking on a more microscopic level, bone is composed of a small number of cells which are within a matrix of collagen fibers. The collagen provides a surface for inorganic salts to adhere to. These salt crystals form when calcium phosphate and calcium carbonate combine to create hydroxyapatite, which incorporates other inorganic salts like magnesium hydroxide, fluoride, and sulfate as it crystallizes, or calcifies, on the collagen fibers. Hydroxyapatite crystals are why bones are hard and strong, while the collagen provides flexibility. A certain amount of flexibility helps to ensure a bone is not brittle - in our feet especially this allows for shock absorption with each step we take. There are four main bone-related cells that should be covered. Osteogenic cells are the immature cells that develop into osteoblasts (we’ll cover this soon). The osteogenic cells are housed in the deep layers of the periosteum of bone as well as in the marrow. Osteoblasts which arrive from the osteogenic cells primary function is the formation of bone. These cells are in the growing areas of bone including the periosteum and endosteum. Osteocytes are cells that maintain the mineral concentration of bones. These cells are entrapped in the matrix of the bone. Osteoclasts are cells which are in charge of bone resorption. They are located on the surface of bone in areas of previous injuries as well as areas where there is unneeded bone. When speaking of fractures, the osteoclasts are what “clean up” the damaged bone to allow for the osteoblasts to create new bone. Now you can see how much more complicated bones are than you may have previously thought. 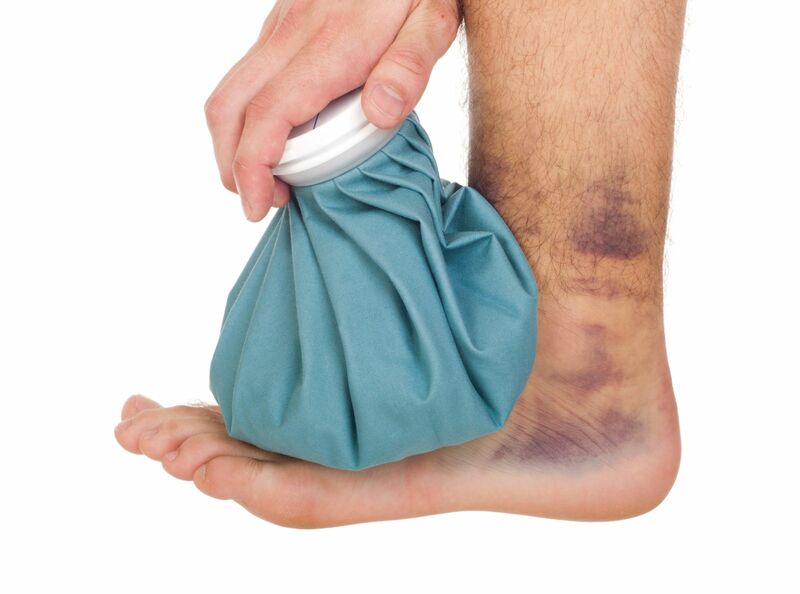 Any person suffering a fracture in their foot wants to know how soon they can be back to their normal routine. When will they be able to run again? 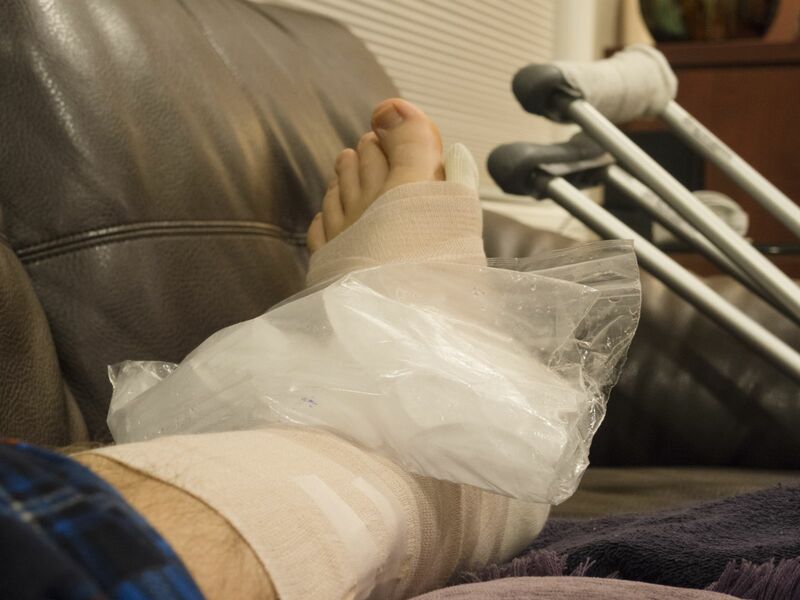 When will they be able to get out of the splint, cast or boot that has been recommended? Is there anything they can do to make it heal faster? When it comes to how long a bone takes to heal, generally between 6-10 weeks is the normal healing time. The 6 weeks end here refers to patients who have appropriate bone density, appropriate vitamin D and Calcium levels, has a normal intact blood flow to the area as well as if they can provide rest to the area which reduces movement of the fracture site. Vitamin D levels are often low in patients at the time they suffered a fracture. Daily supplements are helpful to get these levels elevated, but still take 4-6 months to optimize. If you think about it, by taking vitamin D after a fracture has occurred, it cannot expedite healing. This doesn’t mean you shouldn’t take vitamin D, but its potential to aid in healing would typically be more to reduce the likelihood of further delayed healing. In terms of blood flow, as we age the blood flow to our feet especially can diminish. The blood vessels in the feet are the farthest from the heart which is the source of blood. Blood is what carries healing factors, nutrients, vitamins and minerals throughout our body. If blood flow is compromised due to age or peripheral vascular disease or smoking, the body cannot feed nutrients to the area of broken bone to help heal it. Adequate rest of the fracture is also critical in bone healing. Think about if you develop a cut on your hand. If you are constantly pulling and stretching the skin at the site of the injury, would it heal as well? Deeper cuts to the skin may require stitches, whose purpose is to immobilize the skin and reduce movement which complicates and lengthens healing time. The same idea applies to the bones when it comes to fractures. 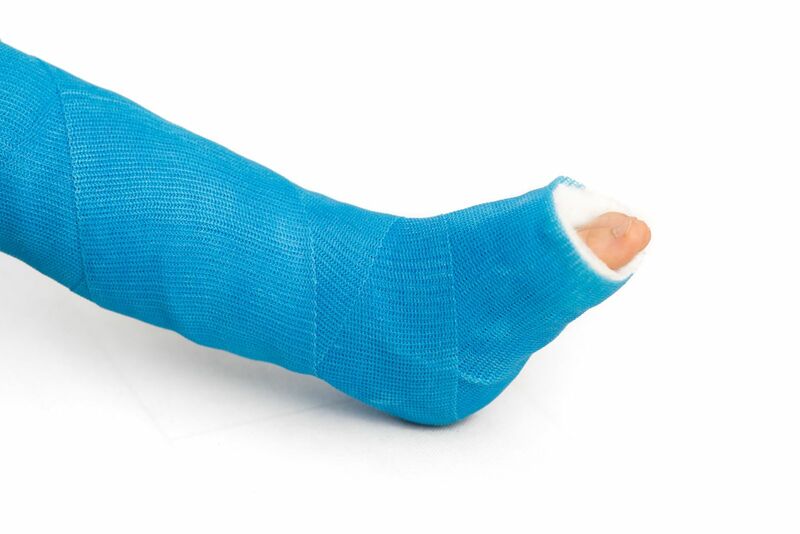 Some fractures can be immobilized well enough with use of a splint, cast or boot. Others may require surgery to achieve this. The location and type of fracture affects healing time in a few ways. If a fracture is ‘clean’ and has only 1 fracture line and did not move (or displace) it’s healing potential and time is more optimal. On the other hand, when a bone is shattered in many pieces and these pieces are strewn about in many different areas far apart from each other, it will be more difficult to heal. 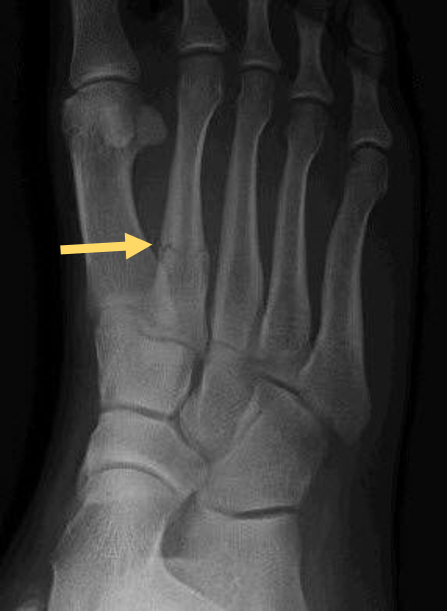 Some fractures in the foot occur near attachments of tendons and the tendons themselves may counteract healing due to pulling on the fracture site. While blood supply to bone comes from a variety of places, some bones have inherent ‘dead zones’ where blood flow is less than optimal purely due to anatomy. In the foot, the 5th metatarsal bone has one of these areas. In the initial phase of treating a fracture, the first step is to assess the position of the fracture as well as the location. If these are optimal, conservative treatment with immobilization should be enough to allow healing. If the location or position of the fracture is suboptimal – or if a fracture is in a “dead zone” then surgical fixation with plates, pins or screws may be recommended to ensure faster healing and less complications later. X-rays are typically taken every 2-3 weeks to re-assess healing status, and full healing may not be seen until 10-12 weeks. Often with stable fractures, if healing is noted on x-ray and pain is improving around 4 weeks, transitioning from one form of immobilization to a lesser form may be appropriate. In some cases, a bone stimulator may be recommended to treat a fracture. There are three types of bone stimulators. One of these uses low-intensity pulsed ultrasound, another uses electrical stimulation, and another uses shock wave therapy. The goal with any of these types of bone growth stimulators is to enhance your body’s natural healing. If you think you may have suffered a fracture, having this evaluated and treated quickly will reduce the likelihood of prolonged pain. Don’t let an injury keep you down! If you experience an injury, please call our office for an appointment.